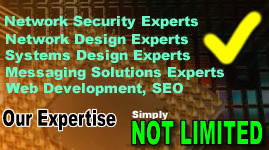 Dual Layer comprises of Professional IT Consultants with many years of solid experience. Our team is well equiped with the modern IT techniques. As the name imposes, Dual Layer is here to double the amount of dynamic and secure solutions usually provided by other IT services companies. We provide twice the care, attention and security to our clients’ assets, systems as compared to other IT solutions providers. Dual Layer is formed with the vision to provide quality and secure solutions usually achievable by large companies. Its aim is to become a single point of contact for its customers needs. We provide a service as to be your own IS department. With Dual Layer as your service partner, you can fully focus on your business while we focus on the ways to enhance the productivity for your business. We have clients from different industry sectors such as Finance, Trade, and Sports. Our clients are based in Hong Kong, Thailand and Shanghai. We have the expertise to provide our services on a regional basis. We are the IT department of our client, a single point of contact and we have very high professional business relations with all of our client. We act proactively to address any issues concerning our clients' systems performance.